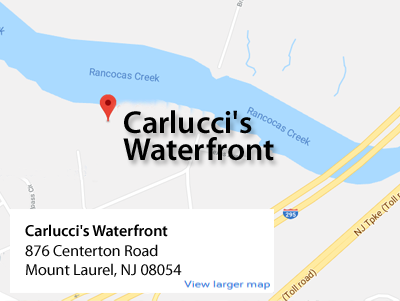 Carlucci's Waterfront Catering Tray Or Party Platter Promotion! Sunday & Monday Night Football Promo! CHOOSE (2) 1/2 Trays for $60 .......WOW! We also have Antipasto and Hoagie trays! All Of Our Famous Dishes Available For Takeout! Click Below To View/Print the Complete PDF Menu.